So I tried a second attempt at making macaroons after my first attempt went so well. This time I wanted to make something a little different. 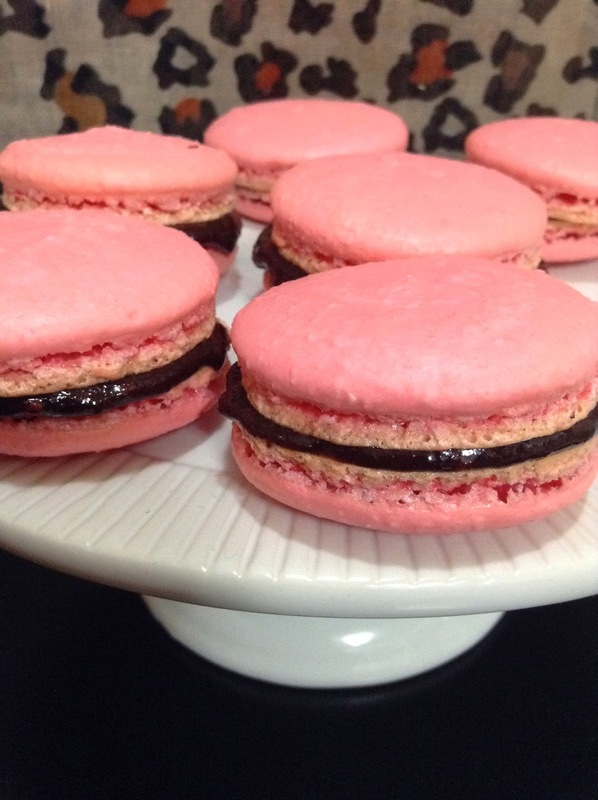 I still had some of that chocolate raspberry jam left over and I thought it would make a great filling for a macaroon. I also really wanted to try my hand at making pretty coloured macaroons so I went out and got some gel icing. I love how the colour turned out. I am still not 100% comfortable with making them and would love to get a kitchen scale so I can properly measure out my ingredients. Something to add to the Christmas list! Okay, I am inspired by your macaroon success... I want to try to make them so badly but am terrified.